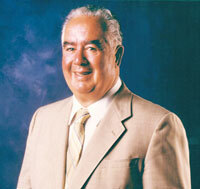 Glen Bell, founder of Taco Bell, has dropped his last chalupa. Apparently his heart, stuffed with a delicious blend of three cheeses, refused to pump another ounce of that zesty red sauce. Bell opened his first Taco Bell in 1962 using nothing more than some second-hand e coli and absolutely no concept of what real Mexican food tastes like. In 2007, Taco Bell made headlines after video cameras showed one of their restaurants getting overrun by rats. In its defense, the company said the rats were just trying to get out. Bell requested his remains be wrapped in a warm tortilla, stuffed with hearty beans, and grilled to perfection.